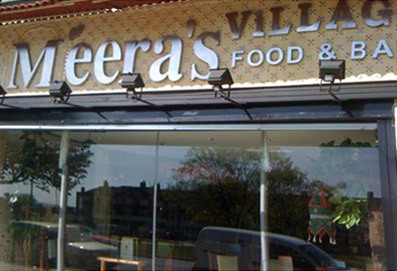 Meera Village specialises in pure vegetarian Gujarati foods, bringing traditional Indian culture, flavours and ambiance within its restaurant. Meera's Village embarks upon an Indian atmosphere within your dining experience to surprise the locals and visitors to the UK.By providing a traditional all you can eat buffet along with Meera's A La Carte specials, we look to blend the diverse cooking styles of Gujarat and Indo Chinese to discover the gastronomic excellence and flavours of Indian foods. In addition, Meera Village also offers a private dining experience for big and small parties, where our restaurant can accommodate up to 120 people. We also offer private dining/hire for up to 40 people in our glass conservatory with an onsite bar and entertainment system.